Gosh! I turned straight to Goodreads for the answer to this one. 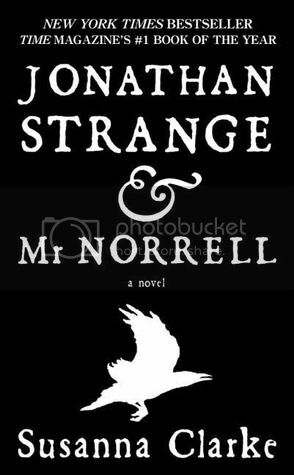 Looks like the longest book I've read in the last couple of years was Jonathan Strange and Mr. Norrell by Susanna Clarke. 1,024 pages, but it was a fast read. It's set in an alternate Napoleonic England, and features two dueling mages and heartless meddling faery folk. I loved it! This has to be one of my favorite books of all time. This is a book that many coworkers have talked to me about. In my youth I read LONG books all the time but these days I admit I'm a little daunted by anything like that--too much commitment! It is very long! I started to read it a while back, but ended up setting it down and not picking it back up. It didn't seem to hold my interest. Had a hard time with this one. Started it, but didn't finish. I think sometimes longer books take more patience, and I guess I just wasn't in the mood....maybe I'll try it again some day. I haven't heard of this book. Sounds interesting though. I've had this book on my list for ages, but I had no idea it was so long! It's going to take me forever to read when I finally get around to it lol. Glad to hear that you enjoyed it so much though! Happy Friday! I haven't come across this book but it sounds fun.